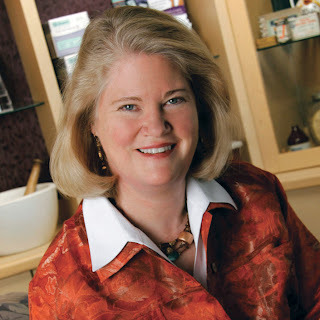 In the late 1970s, Marla Ahlgrimm introduced America to the term “premenstrual syndrome (PMS).” Over three decades, Marla Ahlgrimm, founder of Women’s Health America, has focused her expertise on developing pharmaceutical protocols using natural or bio-identical Hormone Therapy (HT) to help women throughout the country. With a new generation concerned about perimenopause and menopause, Marla Ahlgrimm, R.Ph., is finding many women are surprised at the number of natural hormone options available to them. Natural hormone therapy uses hormones that are identical to those a women produces naturally. Brand names of products that use natural estradiol include Estrogel, Estrace tablets or vaginal cream, and Climara or Vivelle patches. For many women, estrogen levels begin to fall prior to menopause around age 40, according to Marla Ahlgrimm. There are 3 main estrogens produced by a woman, estradiol, estrone, and estriol. Estradiol, the most potent form of estrogen, is produced by the ovaries during the reproductive years and drops dramatically at menopause when the ovaries stop their production. Following menopause, estrone is the most prominent type of estrogen in a woman’s body, Marla Ahlgrimm says. The form of estrogen considered the weakest is estriol, which is produced during pregnancy. Marla Ahlgrimm, co-founder of Madison Pharmacy Associates, recommends estrogen therapy be used in conjunction with progesterone to protect the uterus from overstimulation of the cells that line the uterus, which may occur when estrogen is used alone. For those considering estrogen in a vaginal cream, Marla Ahlgrimm points to effectiveness in patients with symptoms of vaginal pain and dryness, urinary infections, and stress incontinence. Though applied locally to the vaginal tissues, some systemic absorption will also occur. Labels: Ahlgrimm, Ahlgrimm Marla, Dr. Marla Ahlgrimm, Inc., Madison Pharmacy Associates, Marla, Marla Ahlgrimm, Marla Ahlgrimm R.Ph.